Now that spring has finally arrived, it is a great time to make some changes. 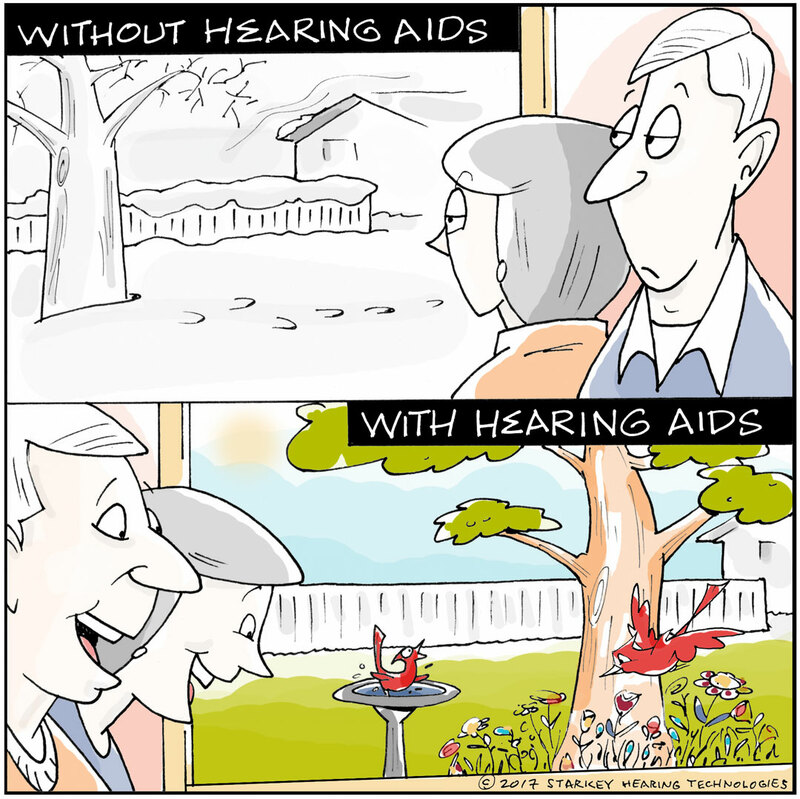 Did you know that you are your best advocate for your own hearing health? Self-advocacy to improve one’s hearing and comprehension is not always easy. But, with practice, you can effectively communicate your hearing and listening needs to those around you. Understand your listening strengths, needs and interests.Even with hearing aids, you may find yourself in situations where you’ll need additional assistance to better hear and understand speech.If you require help to determine your needs, let Jane and I know and we can conduct a needs assessment. If you need additional hearing assistance beyond your hearing aid, there are other options.Blue tooth accessories and hearing loops provide direct audio streaming to your hearing aids from TVs, phones, theaters, etc.Closed-caption phones, apps and alerting devices are also available. Acknowledge your hearing, so people will be more likely to look at you directly and speak clearly when addressing you.If your conversation partner knows that you have hearing difficulties, there may be fewer misunderstandings. Effectively and assertively communicate your needs and preferences. Avoid saying “Huh?” or “What did you say?” when you heard at least part of what someone was saying. Instead, say something like, “I know you are talking about a new movie, but I did not catch the title.” This tells the speaker you are paying attention but did not hear everything clearly. Verify what your think you heard. Be willing to ask questions when you are not sure. Never assume. Use positive works when needing help rather than being negative. Politely let others know what you need to make conversation flow more easily. In a group meeting, suggest that only one person talk at a time. Be prepared! Anticipate difficult listening situations and plan ahead. If you are going to dinner with friends, suggest a time when the restaurant is not so busy, or a relatively quieter place. Pick a table, preferably a booth, away from the noisy kitchen, bar or where people are noisier. When attending a meeting, arrive early so you can pick the best seat and familiarize yourself with the material that is going to be presented. Listen with your eyes, not just your ears! Looking at the speaker’s facial expressions and body language may also help you understand what is being said. It’s ok to break the rules. If something is not working, make a change.Practice and experience will help you determine what works and what does not, based on your specific hearing needs. Be patient with yourself and others. Don’t blame yourself or others for your difficulties.Keep trying these tips and stay positive. If you would like more information or the opportunity to practice these suggestions, join us next month for our next 4U2Hear Solutions class. Give us a call at 704-633-0023 or visit our website (www.hearingsolutionsofnc.com) for more information. Jane, Beth, Jamie and I look forward to seeing you soon.